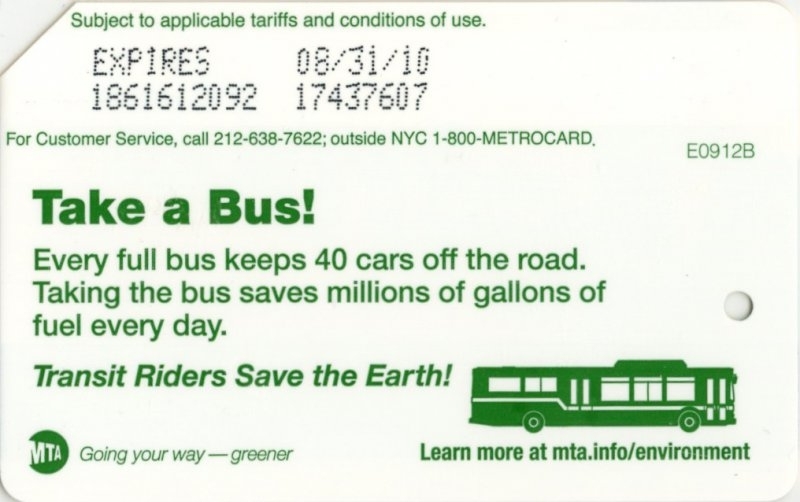 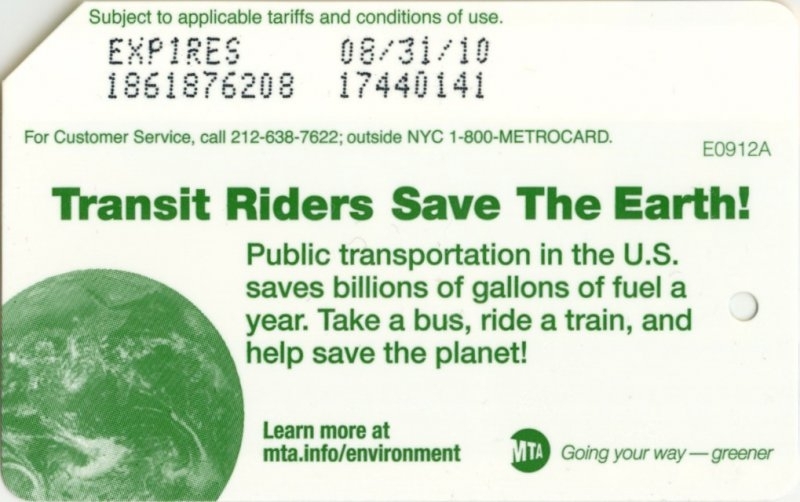 In repetition of 2008 Earth Day celebration in 2009 MTA issued series of 4 metrocards with very similar design as in 2008. 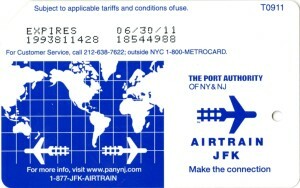 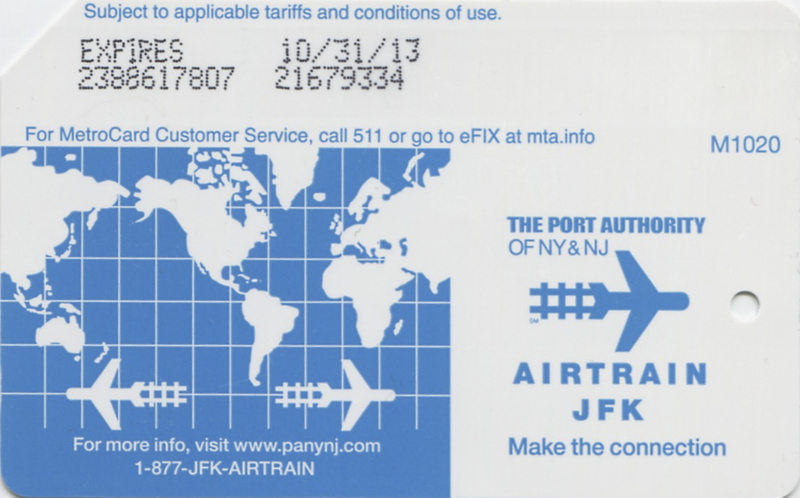 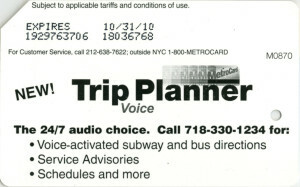 More over, MTA used the same images on those metrocards as last year , only text is different and size of images used. 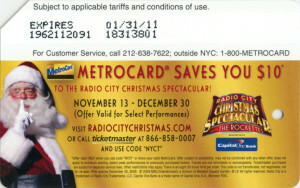 Another difference is that this year it was 4 metrocards and last year series contains of 5 cards. Another promotional metrocard to push people to use public transportation to get to sport events, in this case to Giants stadium in New Jersey at Meadowlands. 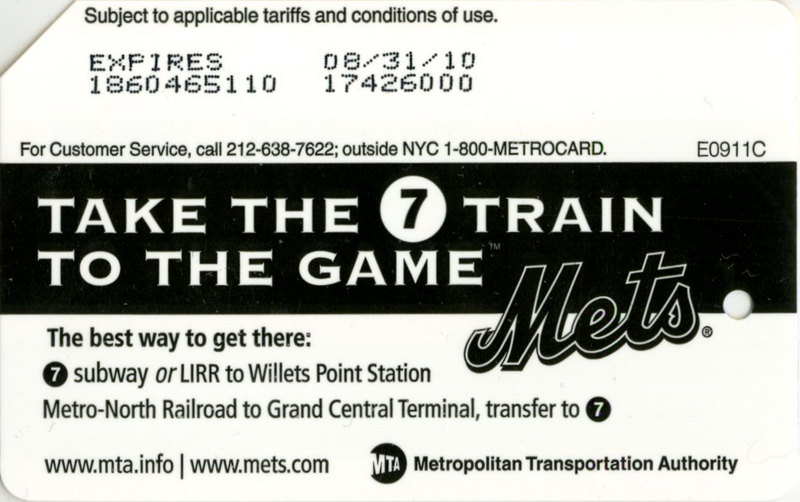 It looks like that card was in short supply, it could be that it was a very limited edition. 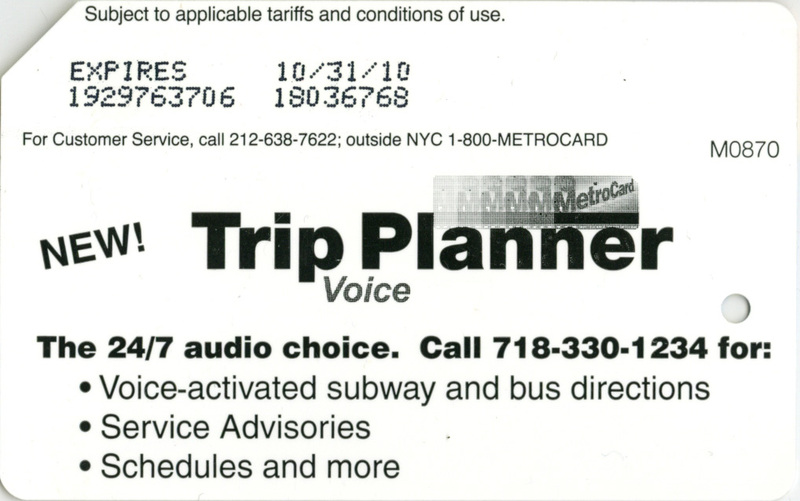 Newest edition of 2007 issued metrocard “Trip Planner” features 24/7 voice advisory. 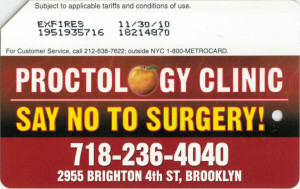 Medical office sponsored this metrocard to advertised their service for proctology. 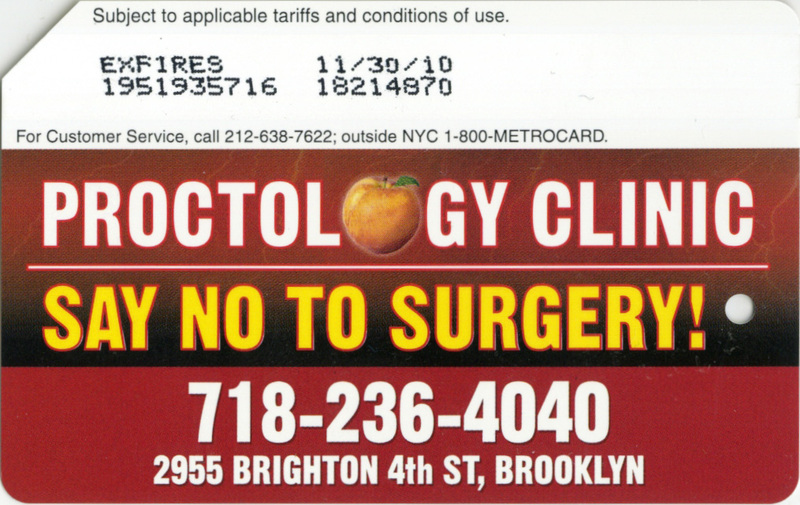 The same ad was seen on billboard next to Gowanus Expressway. It had limited circulation mostly in Brooklyn and some in Manhattan on 34th street station of A/C/E line. 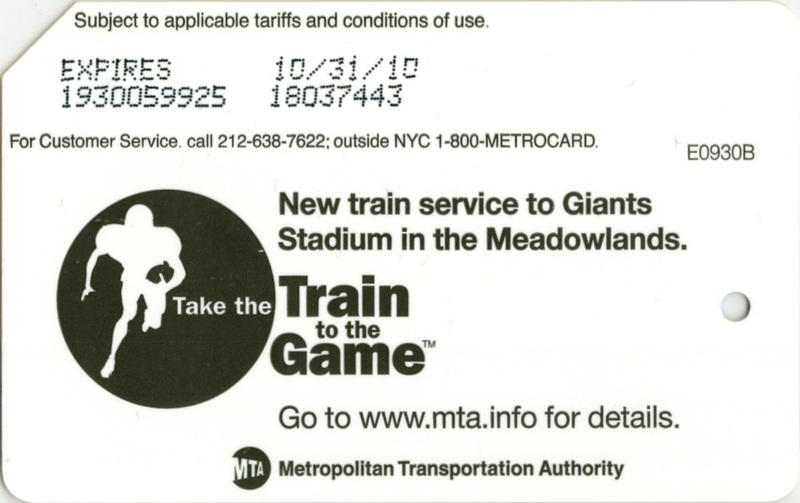 2 new graphic cards appeared in the fall of 2009. They resembled safety cards but with graphic interpretations. 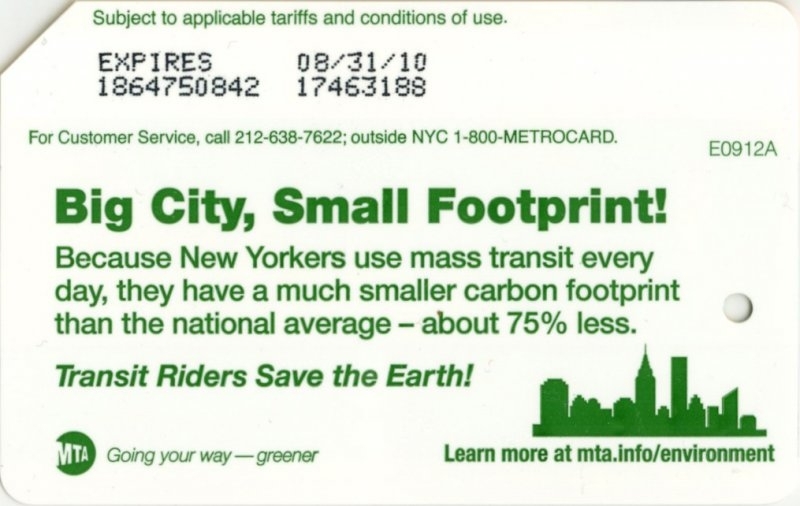 MTA did not go produce more similar cards. 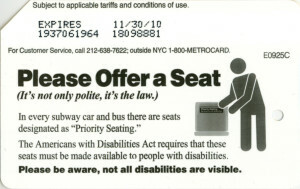 Similar leaflet has been published. 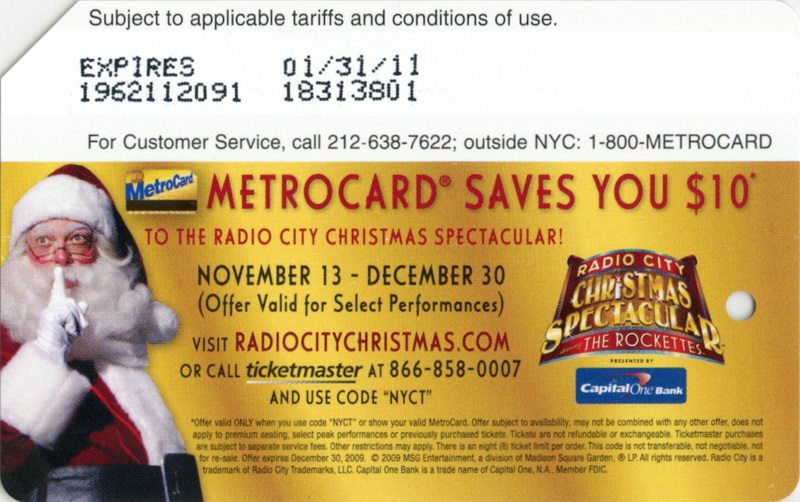 Exactly the same design as in 2008 just different days of performances and different leaflets one and two. 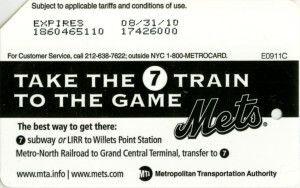 Another version of ‘Take the 7 train to the game’ to promote subway use to get to new Mets stadium ‘Citi Field’. 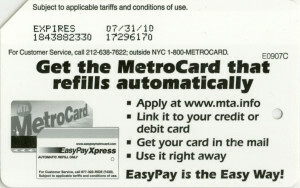 This metrocard promotes usage of automatic refills on metrocard. 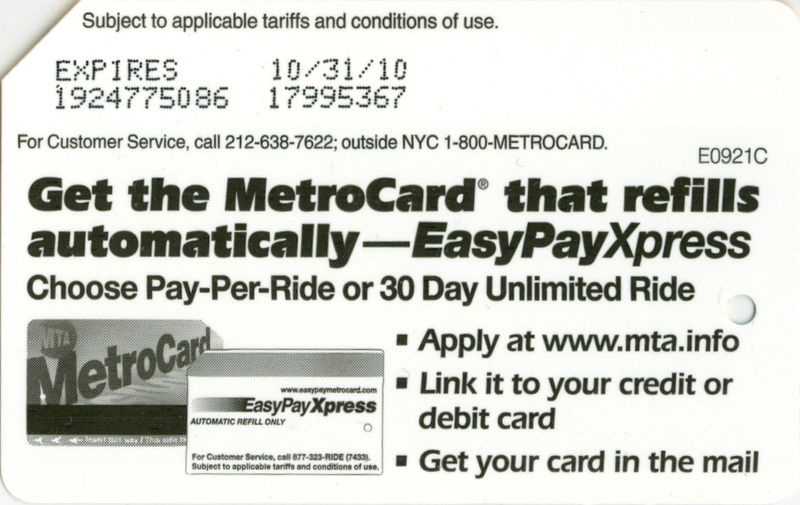 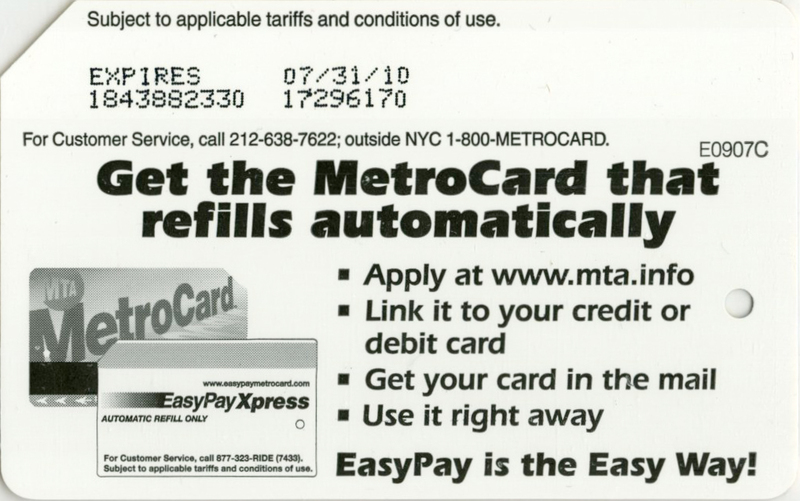 Metrocard itself called EasyPay and can be automatically refilled via credit or ATM card. 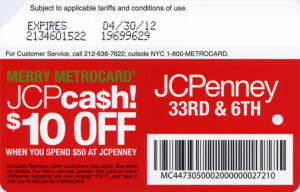 Customer when subscribe for the service gets metrocard which looks like this. 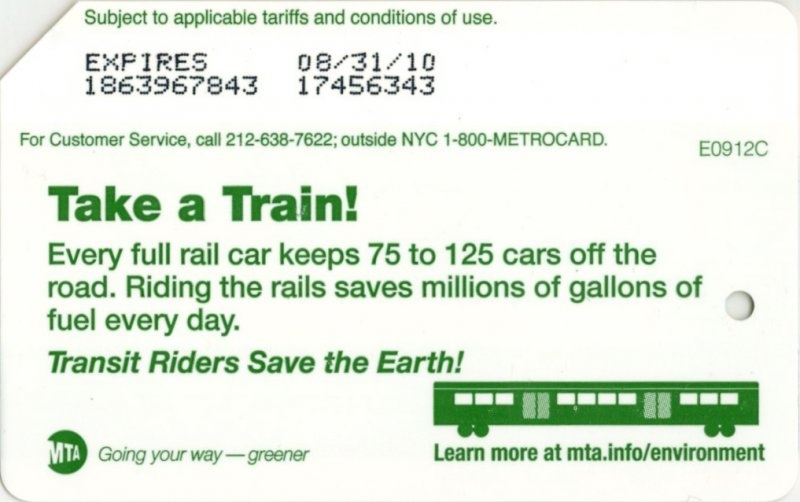 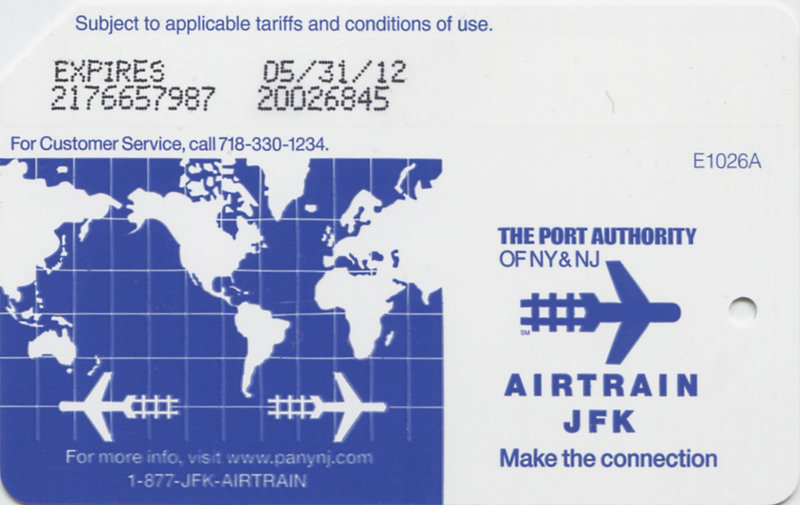 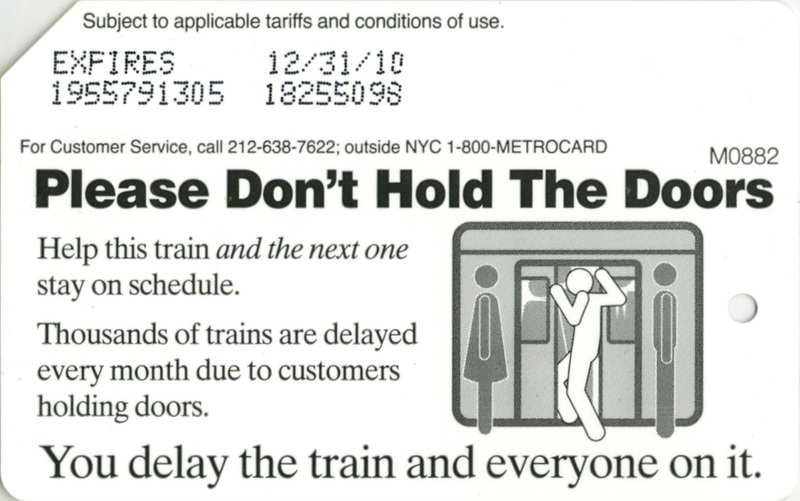 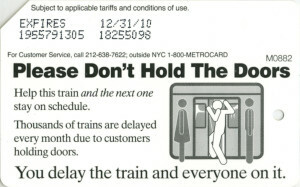 And later the same year another metrocard came out with slightly different message on it.